As the stretch in the evenings is finally upon us we have decided to stretch ourselves and offer you all another chance to win some great prizes. If you fancy getting some cool stuff then you need to help us out. We are trying to come up with a new tag line for our online store. So what is Purchase.ie to you? We will reward our favourite three answers with the below prizes. 5 In 1 Solar Radio – A Radio which can be powered by natural daylight, by winding up or through your laptop with the included USB adapter cable. Also can act as an emmergency mobile phone charger. 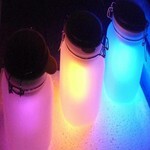 Sun Jar – Really pretty solar light which comes in Yellow, Blue or Pink. Looks great sitting on a window ledge, in the garden or on a balcony. Made from a traditonal mason jar with integrated solar panel and LED bulb. 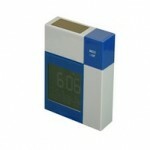 Sound Activated Solar Alarm Clock – Great little gadget for helping you out of the bed in the morning. Powered by daylight or through the included usb adapter cable. Automatically goes into power save mode but if you wake suddenly and want to know the time simply click your fingers. As we have reached over 100 entries we have added two bonus prizes. Drumstick Pencils allow you to write all day and play a few tunes when you are hit with writers block. Competiton runs until midnight on May 14th. We will announce the winners and notify the winners on May 15th 2013. Please share it on facebook, tweet about it or if you are really enthused about the competition shout it for your rooftop using a loudspeaker! Purchase.ie is like getting energy for free ! Ireland’s favourite ECOmpany has mean, green offers right on screen. Purchase.ie is Watt Joule ever need , in any energy field! Purchase.ie is there always to help conserve energy and waste with their Echo-friendy products! purchase.ie is the web site for me ! purchase.ie has light charges to make us beam!!! purchase.ie stocks lean, green, money-saving machines. Purchase.ie is the way forward. Purchase.ie is helping to save the planet for the grandchildren I hope to see. Purchase.ie is the ideal way to save: on my pocket, and save Earth for the future! Purchase.ie is a fun site that saves you money ! Purchase.ie sparks my light you see. Purchase.ie is today,s economy,s answer. the worlds answer to solar and green efficiency. Keep the Sun shining especially for them. Purchase.ie cares for your pocket and your future . Purchase.ie helps you make the right change without the pain. 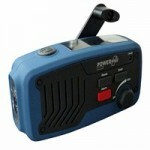 Purchase.ie are passionate about practical products that protect and preserve at a prudent price. Purchase.ie, putting the green back into goods and to our pockets. Purchase.ie is a Green award winner! Purchase.ie is the Green Place to Be! Purchase.ie is such a great website. Purchase.ie is the website for new technology in water and energy saving products, gadgets and ideas. Purchase.ie is the quirky way to save the day. Purchase.ie is taking the complications away from complicated issues. Purchase.ie…multi-tasking products, for multi-tasking people! Purchase.ie saving money and the planet for me! Purchase.ie is……..a thrifty spend for Eco savers. Purchase.ie – Enviromental aided products that help save the planet while savig you money. ‘Veni, vidi, visa – I came, I saw, I spent it at Purchase.ie. Whoever said money can’t buy happiness simply didn’t know about Purchase.ie. I didn’t know about your web site till I saw you on Facebook. It is brilliant. I love the items that you have and the savings that can be made with them. I will definitely be telling my family and friends about you . Thanks for bringing this web site to my attention. Regards Jane. Purchase.ie is the best site for all your home needs and gifts. Purchase.ie is THE place to be if you want to save the world! Purchases.ie helps me take first step to a brighter future – escaping the electrical outlet by plugging into the sun! Purchases.ie powers all our energy needs! Purchase.ie is no ‘wind up’, go on. . . see ‘the light’! the light in my day!!!!!!!!! Purchase.ie is Awesome, Earth saving goodness! Purchase.ie is easy on your print but don’t leave you skint! purchase.ie is Ireland’s answer to a greener world! Purchase.ie is the future in shopping. Ireland’s 41st shade of green! Purchase.ie the colourful way to save money and think of the next generation! Purchase.ie is my favourite website to shop on!! It is useful to purchase. Purchase.ie is cool, green, ozone loving fun! Purchase.ie helps you, help us to save our earth! Purchase.ie gives de’light’ful illumination, with brilliant conservation! Purchase.ie makes Ireland a better place to be! Purchase.ie is for the green thumb of the future. Purchase.ie is the way forward. Green means go! purchase.ie Danger! Danger! High Voltage! Purchase.ie is glas liom é! Purchase.ie has everything I need and more! Purchase.ie is where you go for all your needs to Save,Conserve and Reduce ! is the one stop eco energy shop for all your everyday needs…..
Purchase.ie is where you buy inspiring gadgets that blow your mind! Purchase.ie, Eco-lutionary solutions for your home. Purchase.ie is … friendly energy. Purchase.ie is very helpfully, offering to me, the opportunity, to tap green energy, it’s free! Purchase.ie is very helpfully, offering to me, the opportunity, to tap green energy, best of all it’s free! Purchase.ie is the eco website with some pretty cool ideas, sun, air, water, energy and life. Purchase.ie is a very easy to use website which supplies really cool gadgets as well as day to day products. Purchase.ie is on the button. Purchase.ie is the place to be for funky gadgets, so cool and fun! purchase.ie makes it sunny even on a dull rainy day!!! Purchase.ie: Save your money and your planet. Purchase.ie – Great products, Great prices, Great planet. Purchase.ie is where you’re gonna find me! Purchase.ie is blimmin sparkly awesome! Purchase.ie… Bringing clarity to consuming. Purchase.ie has the gadgets I need at a price that suits me. Purchase.ie cares for their customers by offering styish gadgets & gifts at affordable prices! Go Solar!! Purchase.ie is the purfect website without all the chasing.